As a Rewards & Recognition company specialising in tangible gifts, Gift Innovations understands that a good Service Award gift is a symbol of appreciation which continues to speak long after it has been awarded. We understand that every employee is different, so we offer a wide and varied choice of gifts in our Service Award Programmes. What are your most popular Service Award gifts? 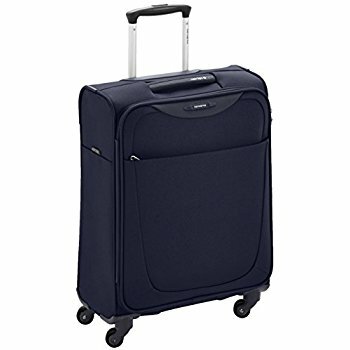 The Samsonite brand is well respected and this Samsonite Cabin Case is our most popular piece of luggage. Employees really appreciate being offered quality reward options. Our Service Award programmes include a large choice of premium Irish and international brands. 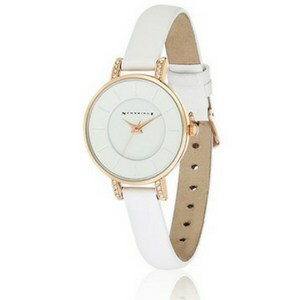 This Newbridge ladies watch has been a clear winner this summer with both ladies and gents. 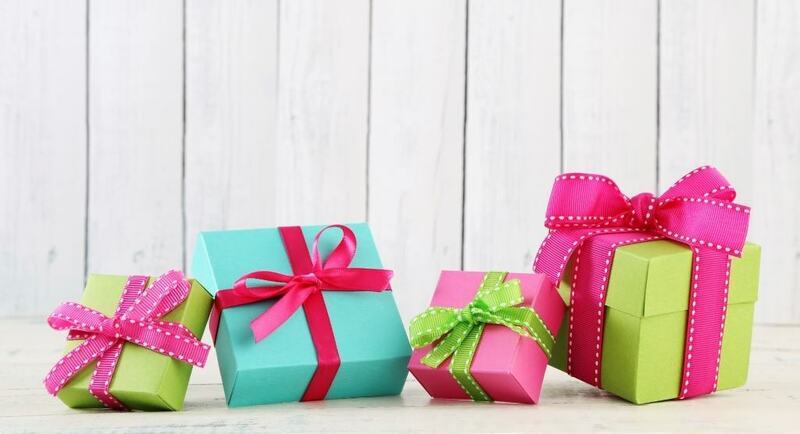 We find that employees use our rewards portal, RewardNet®, to choose a gift for a loved one as well as to treat themselves. Our points-based programmes offer great flexibility and choice. There’s a hint of practicality in all of us. 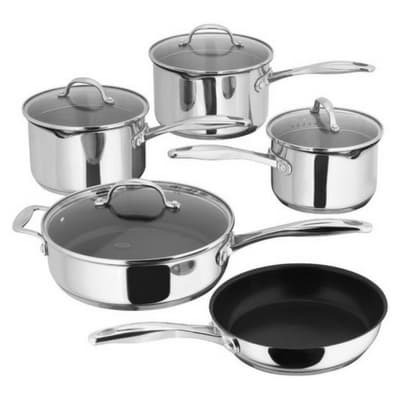 This Stellar Saucepan Set is very popular across our programmes and shows that employees recognise good value. Our Service Award programmes include a wide choice of gifts including digital items, travel and household gifts, mixed with classic pieces for a balanced and varied choice. 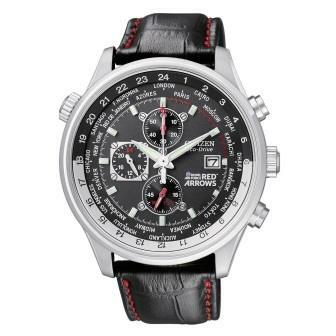 This Citizen Chronograph watch is a modern twist to a classic Service Award gift. It is by far our most popular gents watch. 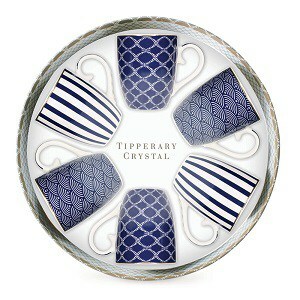 We’re proud to offer beautiful and unique reward options from top Irish designers and Craftspeople. 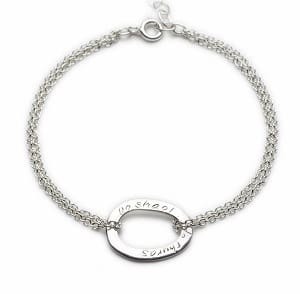 This sterling silver bracelet is inscribed with the Irish Do shaol, do thuras which translates as Your life, your journey. This elegant piece of jewellery is designed and hand-made in Schull, Co. Cork. This stunning set of Bone China Mugs appeals to the fun and stylish side. Presented in an elegant hat box, they are hard to resist. And, if you have remaining points to redeem, you can also select the matching and equally adorable set of side plates! 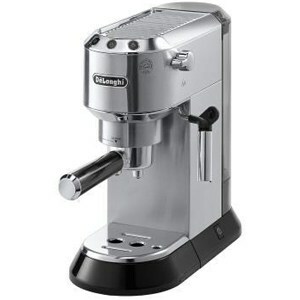 This traditional coffee machine with a modern design is a real treat for coffee lovers. 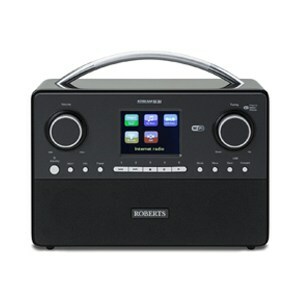 Including some luxurious gift options in your Service Award programme is very appealing to employees. Even if they do decide to select something more practical, they appreciate being offered the option to really treat themselves! It can be hard to justify treating ourselves at times. That’s why employers should treat their extra-ordinary employees with gifts that they may not justify purchasing themselves. 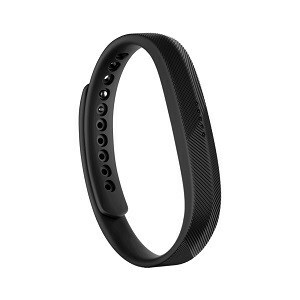 Fitness and well-being gifts are becoming more and more popular. Employees are excited to select gifts that can help motivate them and help to achieve their personal goals. It shows that you are interested in their well being beyond the office door. 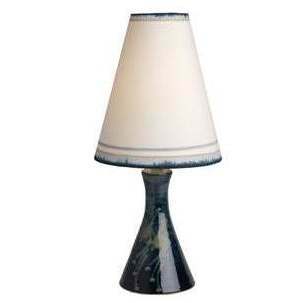 This Louis Mulcahy lamp with its signature design and hand-painted shade is often selected with matching pieces by the designer. It stands as an elegant daily reminder of the special occasion. Service awards are special milestones – not to be confused with compensation or incentives. They represent a significant achievement and this is amplified when their awards take the form of tangible gifts. At Gift Innovations, we make it a seamless process of rewarding your employees with a meaningful symbol of their service. For us, it’s – All in a day’s work.